Kay Botanicals will always be concerned about the health of our consumers, which states our priority to the quality of Kratom products. Ensuring the quality of Kratom in every product will not be compromised, that is why Kratom will undergo a Lab Testing every time. We know the value of your money that you spend on purchasing the product with us, this makes us ensure the quality of the Kratom and wants to deliver the best Kratom product to you on each time. Though, there are some companies has spent their lives providing the not-so-good Kratom powder to the customers, only intended to yield a profit, so they took some shortcuts. At our Kay Botanicals, we are transparent about our production of Kratom powder to the outside world. We work hard to offer the purest form of Kratom to our consumers. We share our test results with the customers so that you can choose the product without any dilemma. We assure you for the 100% safe and pure Kratom products to each of our consumers. So, the first thing to do to get the trusted results is to select one of the reputable laboratories. There are many food labs available around the country. Some laboratories such as Columbia Food Labs has conducted testing on products for around 500 companies that also includes some top companies in the world. After ensuring the reliability of the lab procedures, our Kratom products will be sent for lab testing, of what we do not go least on cheap expenses. At any point, if the Kratom products that we have for testing has concluded with the negative results, then we will not sell them to the market. Kay Botanicals will always be open about its manufacturing of the extracts from the leaves. We let FDA/DEA to know that we care about our customers and each time we ensure the Kratom quality all the time. We will stand cooperatively to make this quality of Kratom to be consistent every single time and will work hard to stand out from the other vendors in this industry. Kratom products that have been sent for testing were resulted with 100% pure and contain no E.coli, Salmonella, or any other pathogens. The testing was also to make sure there will be no presence of any chemical properties such as heavy metals or pesticides. We want to provide the purest form of Kratom to our consumers. In the following, you will find the tests that we conduct on Kratom before it goes out for sale. Each of these tests on our Kratom products will be done so as to ensure the quality of every Kratom leaf that we import from other regions. 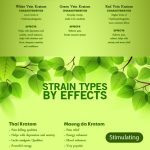 If you are having any questions about Kratom, then do contact our customer support or mail us to check out the lab results.